If you loved some of the songs behind famous movies such as “Good Life” from the film “The Fate of the Furious” and “Gangsta” from “Suicide Squad,” you’re in for a treat next Friday, May 25, as the woman behind the songs, Grammy-nominated singer Kehlani, is coming to Manila. The singer/songwriter has announced that she will head to Asia this spring for her Kehlani Tour of Asia 2018. Her Manila concert will take place at The Island at The Palace at Uptown Bonifacio in Taguig. Lauded for her velvety smooth voice and use of a vividly confessional lyricism reminiscent of Neo Soul, Kehlani has been elevated by critics from Pitchfork (“Overlooked Mixtapes 2014”) to Billboard (“Year’s first great R&B album”). She has been one of the most closely watched names in the industry, having collaborated with artists like Eminem and Charlie Puth and being an opening act for G-Eazy’s and Demi Lovato’s tour. 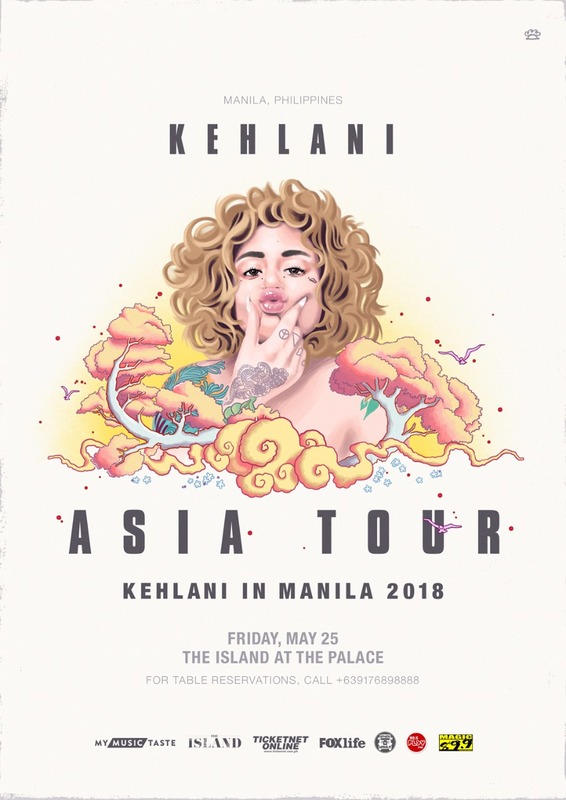 Kehlani’s Manila concert is presented by MyMusicTaste, an online service that brings together music fans to request their favorite artist’s concert. Those who request Kehlani’s Manila concert on MyMusicTaste by 11:59 p.m. on Sunday, April 1, 2018, will have access to a 20% discount off two tickets. Further information about the tour and tickets can be found on My Music Taste and its social media channels. 2. Include the hashtag #SnippetMediaXKehlani.